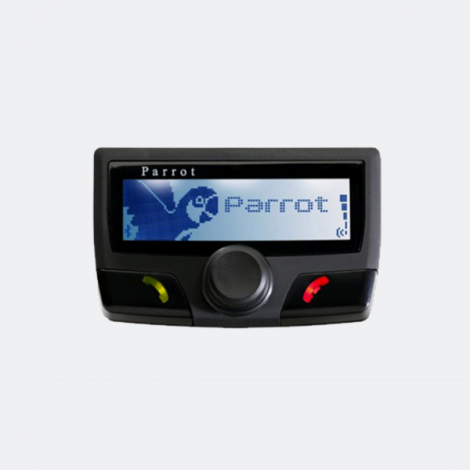 The Parrot CK3100 LCD is the most dependable hands-free car kit on the market. With the Parrot CK3100 LCD, you will be able to place and receive calls in comfort and safety, without ever touching your mobile phone. Legislation is tightening up to restrict the use of mobile phones in vehicles by installing a Parrot CK3100 in your vehicle you can use your mobile in your car without the need to touch it keeping both hands on the wheel at all times The callers voice is diverted through the car speakers for greater clarity. All incoming calls automatically cut out the radio so you won’t miss a call On start up the kit automatically connects to your phone. LCD screen displays incoming calls, recent calls, missed calls, voice mail, directory, etc.